For more than three and a half hours on Saturday, the Maroons experienced what it felt like to be a DI team. Unfortunately, they also experienced what it felt like to lose a nail-biter. DI University of Illinois–Chicago (UIC) barely edged out Chicago 4–3 on Saturday. The Maroons fell to 3–2 on the season while the Flames improved to 2–4. With UIC up 3–2 and third-year Ankur Bhargava along with second-year Gordon Zhang contending at No. 4 and No. 6, respectively, head coach Jay Tee remained optimistic. 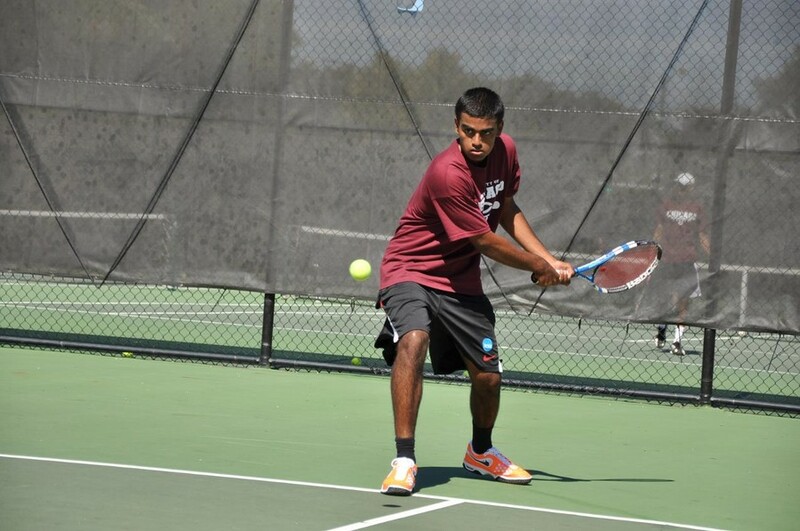 Although Bhargava ran with the first set 6–3, UIC’s Christopher Cole raised his game in the second and third sets, besting the Chicago third-year 6–2, 6–2 to end the Maroons’ hopes of a comeback. “Ankur played his heart out, but [Cole] was just a little better that day,” Tee said. With the dual already clinched, Zhang and Nicolas Aguirre played a 10-point tiebreaker to determine the winner at No. 6. Zhang led 8–5 before Aguirre earned two straight points. The Maroon remained composed for the 5–7, 7–5, 1–0 (10–7) win. Doubles used DI scoring where, unlike DIII, the three matches combined for one point, so the team that won at least two of three doubles matches would take that point. First-year Max Hawkins along with Bhargava and fourth-year Zsolt Szabo along with first-year Brian Sun lost 8–6 at No. 2 and No. 3, respectively, before third-year Deepak Sabada and first-year Sven Kranz won 8–7 at No. 1. Those results effectively gave the Flames the lone doubles point. In singles, Kranz lost in straight sets (6–2, 6–3) to veteran No. 1 singles player, fourth-year Alexander Raa. At No. 3, the traditionally solemn Sun showed emotion and vocal energy as he attempted to stage a comeback after going down 6–1 in the first. His run fell short as he lost the second set 6–4. Sabada battled through a second-set tiebreaker for a 6–2, 7–6 (6) victory at No. 2 while Hawkins made adjustments in the second and third sets to take the win at No. 5, 2–6, 6–4, 6–1. No. 30 Chicago returns to action this Friday in Wisconsin against the No. 24 UW–Whitewater Warhawks.